I'm alive! Well, to be honest, I never died or even left. I've always been here, just very neglectful of this little place. I don't know why, but today I felt like I should do something with Fox Tales Times. I really don't have the time to get back to posting twice a week like I used too, but I can at least do a little cleaning and revitalize it. First and foremost, I'm removing the old links up top to the art, comics, and about us section. Some of them are nearly a decade old and really don't need to be up anymore. I'm going to try in the coming weeks to shape this place up into an ABDL game website. Back in 2002 FTT started as a place to host AB/DL/TB/Furry art and stories because there really wasn't a central place to do it. Now there are plenty of places and plenty of communities. Its awesome to see how much more content there is now on an almost weekly basis when it used to be a real search just to find anything. What's missing now though is a place to host ABDL games and modifications. Its something you can't do on FurAffinity, or DeviantArt, etc. This is where FTT will find its niche again. There's already a blossoming little community going on in the FTT Forums, but I think having a place to host files that's not some of the dicey file hosting sites might be of use. And in other news... I would like to announce my game 'Momsterous'. For a little over two years I've been quietly working on a new game titled 'Momsterous'. I started a blog (which has also been neglected) over a year ago on this page. 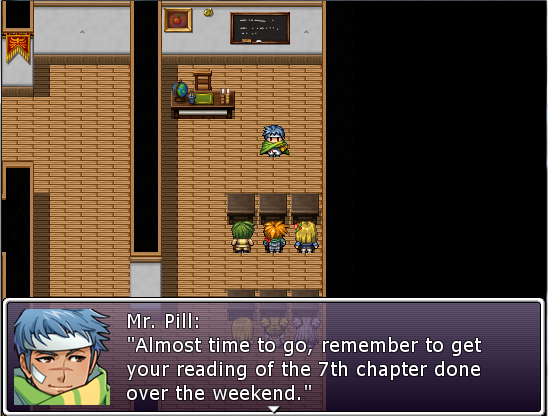 The game is made in RPG Maker, and the first demo (which is really out of date) was made in RPG Maker VX Ace. last October the company that makes RPG Maker released a newer engine called RPG Maker MV. I've been in the process of porting Momsterous over to the new engine and so far its been a fun if tiring task. 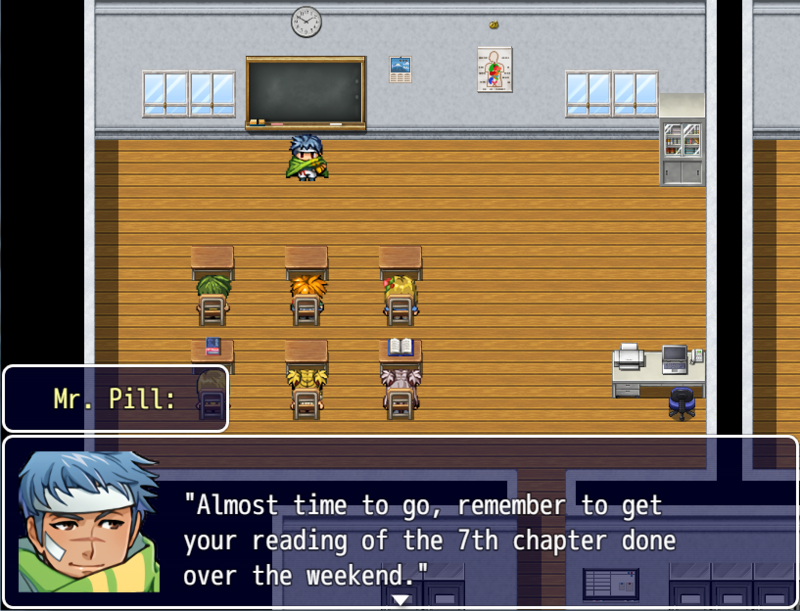 The opening scene in Momsterous on VX Ace (the current demo). The opening scene in Momsterous on MV (the upcoming demo). There's a list of differences between the two engines on the FTT forum here. I don't want to set a release date for the new demo. I'm bad at meeting deadlines for hobbies like this and I don't want to disappoint anyone more then I already have. I'll just say that it is being worked on and its on its way soonish. *Adult bits* Lee and Mark get a little intimate and one of them ends up giving away more then he'd planned. A Fox with wings, a vixen with a very long tail, a mad scientist, a military moron, and a super secret project. Jake has been at a daycare all his life. It's the family business his mom runs... but when his first days at college yeild a few problems, and girls start to complicate his life... well, trouble follows him around. Four girls check out a creepy haunted house... with the usual results. Well maybe not usual. There's diapers, fur, a Commander TeddyBear, Mr. Bollerhat-Rack and... a cat-girl. While babysitting her little brother, Trinna attempts to prevent him from learning that they share a mutual nighttime problem. The kinda-sorta source for the AB / DL / TB / Furry ABDL 'Gaming' community. The site was originally founded in 2002, but went into a period of inactivity from around 2010-2016, and hopefully is back to being 'alive' again. Legal Blah Blah: All media posted here is done so with the consent of the original author, artist, creator, whatever. All art is copyright to the person who made it, and should not be distributed or re-posted anywhere without the consent of the creator. Fox Tales Times (FTT) is something of a community project and meant as a non-profit home to stories, art, games and content related to adult diaper lovers, adult babies, teen babies, furry diaper lovers and any mix of the above. This site does not contain any pedophilic material of any type and should not be confused with such. This site does contain some adult material, but all such material will be clearly marked.